All sects which are deviant from true teachings of Islam. Who Are Imam Abu Mansoor Al Maaturidi And Imam Abul Hasan Al Ash’Ari? 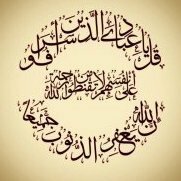 HOW DO I DISTINGUISH BETWEEN AHLUL HAQ AND AHLUL BATIL? What is the ruling about Shias? Are they Ahl Sunnah Wal Jama’a?